How can you improve the health and well-being of employees at work, home and in their communities? Learn to build a culture of well-being that boosts performance and enhances the employee experience. 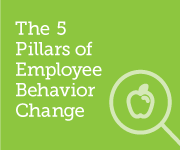 Explore the five pillars of behavior change today. What men value in this world is not rights but privileges."